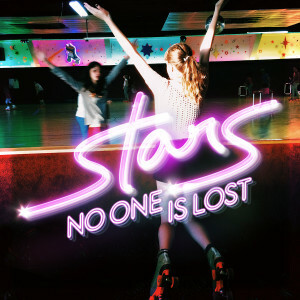 STARS recorded ‘No One Is Lost’ at Montreal’s Mile End Studios, the former home of Handsome Furs (and the site of Arcade Fire’s first rehearsals). Mile End became a home away from home. Creeping into the sound of the new record was the music from the now-defunct discotheque Royal Phoenix located downstairs. The result is STARS’ most dance-floor-ready album to date. Drummer Pat McGee explains, “The sub-bass throb coming from the club below our studio was undeniably and unavoidably influential. It motivated us to out-throb the throb.” Comes with a Digital Download.